COIMBATORE: Residents of Thottipalayam village at Karavali Madhapur took to streets on Tuesday alleging that they had been receiving sewage-mixed water through potable water pipelines for more than 25 days, triggering health problems. The problem was faced by at least 500 families from Kongu Nagar, Mummy thottam, Chinnathottam and Pulliamarathuthottam areas of the village, said C Jayakumar, an activist. According to him, the light brownish water also stinks. “As most residents are daily wage labours, they are left with no other option but to consume the water,” he said and added that more than 10 people have contracted fever, nausea and diarrhoea recently because of this. The residents, who are supplied potable water from Pillur dam, pointed out that there would be leakages in sewer and drinking water pipelines as only these six areas of the village were getting sewage-mixed water. “We have a separate water connection,” they said. Pointing out that potable water was supplied to them once in 10 days, the residents said the quality of water had not improved, despite taking up the issue with village panchayat officials several times. “Every time, we raise a complaint, the officials would check the water at a few places and say the quality of water is good,” they added. Block development officer, meanwhile, assured to take necessary steps to check the source of sewage that is mixed with potable water. When contacted, the official said they were checking for the cracks in the pipeline. “As a temporary solution, potable water will be supplied from a pipeline near the bus stop in Thottipalayam for the next few days,” the official said. Shops on temples premises in city to be vacated by July Coimbatore: From July, devotees wouldn’t find stalls selling prasadam or trinkets inside the temple premises as the Hindu Religious and Charitable Endowments (HR&CE) department has decided not to lease them out henceforth as part of its measures to ensure the safety and convenience of devotees. The auction to lease out the shops inside the temple premises is held every July, said HR&CE officials in the district. “Every year, we would complete the procedures by June and conduct the auction in July. But from this year, we have decided not to lease out the shops inside the temple premises,” said a senior HR&CE official, who didn’t want to be named. The state had recently decided to remove the shops inside the temple premises following the fire incident in Meenakshi Amman Temple in Madurai. People, who run the shops at temples in the city, said while they face an uncertain future, the move was taken for the safety of temples. P Vijayakumar, 39, who runs a flower stall at Koniamman Temple in the city, said his lease would get over this month. “There are four shops in the temple. While officials have decided not to lease them out from this year, we are yet to decide on what to do in future. We feel the move is for good as it will ensure temples’ safety,” he said. HR&CE officials said they have sent notices to the people, who run shops at temples in neighbouring districts, asking them to vacate. Officials had already removed two eateries at Soleeswarar Temple at Perunurai a couple of months ago. Ofo cycles go off the road, may come back with nominal fee Coimbatore: Ofo cycles will no longer be free for use as the company plans to charge a nominal amount for the usage of the bicycle sharing system. According to the city corporation, Rs 6-Rs 12 will be fixed as a nominal fee for per hour of usage. As all the cycles went off the road on Wednesday, residents were surprised. A representative of the company when contacted said cycles are taken to repair stations on a regular basis. “Sometimes, they are taken in batches but this time, we have taken all the bicycles off the road for repair work,” he said. As per smart city consultant, Subash Chandra, the cycles will be back soon. “The cycles are being recalibrated as we plan to introduce user charges. The apps will be updated, and the cycles will be fitted with necessary accessories that will calculate the distance and time of users. The users will now have to pay for using the cycles,” he said. He added that the smart city limited had sought a performance report from the company as it had been three months since the cycles had been launched. Apart from Ofo, Mobike, a Chinese company, and Pedl of Zoom Cars will soon bring in their cycles too to the city to other areas such as Race Course, Saravanampatti and other locations. There were rumours that due to vandalization and frequent damage to the cycles, it had been taken off road. The representatives said that generally, 1.5% of the total cycles were damaged every month and every day 2% of the cycles require minor repairs. “There were several complaints. Cycles were stolen but since our system is in place, we tracked them all down. One bicycle that was vandalized beyond repair in which the user painted it brown has also been recovered. Also, one cycle was almost taken outside the city but for that also we have filed a police complaint. We will tighten our vigil and create awareness,” said an executive of the company. Once the cycles are back, one needs to reach to the cycle, scan the QR code on the cycle to unlock it. Once unlocked, the riders can take the cycle to any destination and end the ride on the application. The bill will be generated and deducted from the accounts or e-wallets. The system was earlier launched in four city-based institutions - Kumaraguru College of Technology, PSG Institutions, Bharatiar University and Coimbatore Institute of Technology - where 100 cycles each were deployed. The other seven locations in the country that have the dock-less cycle sharing system are New Delhi, Ahmedabad, Bengaluru, Chennai, Indore, Coimbatore and Pune in colleges, residential localities and IT campuses. Ofo has been operating in more than 20 countries covering 250 cities. There are totally 1,000 cycles in R S Puram and another 1,000 introduced in Saibaba Colony. Corporation officials said that we had cautioned them about these issues. Even in European countries this is happening. In a few weeks’ time, the cycles will be back on the roads. 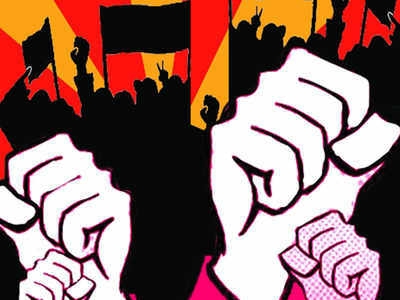 TIRUPUR: Residents of Anupatti near Palladam have observed the World Environment Day by hoisting black flags outside their houses as a mark of protest against two factories in the village. The residents allege that both the factories, one of them an unauthorized one, have been polluting the environment. The factories are: an alloy and steel plant, which has been functioning for the past the five years and owned by Coimbatore-based steel bar manufacturer, and a carbon manufacturing unit, which, according to villagers, is running illegally without permits. “Many goats which had grazed in the lands near the plant became sick and some of them died of diarrhoea. People also suffer from respiratory related diseases and other health issues,” said another farmer P Kandasamy. “We have been protesting against the plant for about three years and even requested the district administration to conduct a medical camp to check whether there are any serious health problems as claimed by us, but in vain,” said A Annadurai, a villager. “The plant mostly emits smoke during night and the emission level would be less during the day to escape controversies. We fear that the pollution from both the factories would affect groundwater and soil in our village and surrounding areas,” Annadurai alleged. On May 1, a special gram sabha meeting was conducted and a resolution was passed urging the government to close the plant. Villagers, similarly, raised concerns about another private plant which manufactures carbon without any permission, and, according to them, it also pollutes the area. Coimbatore, Madurai may get an authority on lines of CMDA CHENNAI: More than two decades after a plan to set up independent planning authorities for tier II cities was shelved, the housing and urban development department is considering the possibility of establishing Chennai Metropolitan Development Authority-like bodies for Coimbatore and Madurai in an effort to reduce delay in issuing planning permissions. Officials said the plan was being discussed at the highest levels of the government which is looking at cities with a population of above 10 lakh. "Coimbatore and Madurai are the cities that may have independent planning authorities after CMDA," an official told TOI. While the two cities have Local Planning Authorities (LPA), a development authority would facilitate various projects including bus terminus, ring roads and wholesale market, all amenities created in the Chennai Metropolitan Areaby the CMDA. "Based on the feedback, it could be extended to other cities like Tuticorin and Tirunelveli," the official said. K P Subramanian, retired professor of urban engineering at Anna University, said such an authority was long due. "The development authority for Coimbatore and Madurai was announced in early 1996 when J Jayalalithaa was chief minister," he said, adding that the government erred while amending the town and country planning act in 1973. "The amendment focused only on Chennai. Now, necessary changes should be brought into the act such that other cities can be included." Cities like Salem and Trichy should also have similar bodies, he said. "Development authorities as the latter has more powers such as land acquisition, borrow funds and offer funding to the local bodies." While some Confederation of Real Estate Developers' Association of India (Credai) Tamil Nadu president Ajit Kumar Chordia welcomed the move saying it would help considerably reduce planning permission, a few others such bodies were not necessary. "Such an authority is against the 74th amendment on municipalities. It would undermine the powers of the local bodies with regard to town planning," said S Kanagasundaram, former president of the Association of Licensed Building Surveyors Coimbatore said. The State Government’s move to ban manufacture, storage and use of plastic products from January 1, 2019 is expected to prove beneficial for the civic body that has been struggling hard to improve its waste management programme. For the Corporation the ban is expected to help in collection, transportation and processing of solid waste, say officials in the health wing. The civic body expects the quantity of waste generated in the city to go down. This will impact waste collection and segregation by push cart workers, who will easily go around doing their job than they do now. The waste they pass on to the Corporation’s vehicles after removing recyclable plastic, which they sell to make money, the quantity of waste transported to the Vellalore dump yard will further come down. In other words, the Corporation will be able to use fewer vehicles to transport the waste than it does now, the officials say. N. Ramakrishnan, a conservancy worker, says disposable plastic such as carry bag, cup, straw, sachet, etc. that they collect from houses, small and big commercial establishments and from roads is a big hindrance to waste collection because it spoils other plastic waste that they can recover for resale or other dry waste. The disposable plastic waste is invariably wet and dirty, handling which also becomes unhygienic. The Corporation officials say the civic body collects nearly 1,000 tonnes waste a day, of which around 10 % is plastic waste. The plastic waste, invariably of the disposable type, that reaches Vellalore after workers have removed the recyclables, is around 40 tonnes a day. Managing the 40 tonnes is a herculean task because the plastic finds its way even in the wet, organic waste that the Corporation uses for preparing compost. The Coimbatore Integrated Waste Management Company Private Limited, which handles 450 of the 900 tonnes waste generated a day for the Corporation, says it has engaged more than 10 workers to remove the plastic waste that finds its way to its processing plant. The workers remove the plastic waste at four stages – right after the Corporation hands over the waste, when it passes through the conveyor belt, at the second, tertiary and quaternary stages. But even thereafter there is plastic waste. It uses a part of the waste in producing refuse derived fuel and dumps the rest. As and when the Government enforces the ban and Corporation effectively implements it, it will help improve processing the other waste, the company adds. The Corporation officials say in the run up to the ban, the Corporation will do well to engage the manufacturers, stockists and sellers to ensure that the disposable plastic on hand is not dumped in to the market. Coimbatore: Residents and environmentalists have raised concern over an order by collector T N Hariharan to construct an approach bridge on odai poromboke land near Kalapatti. They say it violates previous high court and government orders. The land near Eraa Mohan Nagar at Kalapatti, as per revenue documents and the order of the collector, is an odai poromboke (land earmarked near a stream) on which construction cannot be permitted. The collector’s order dated April 12, 2018 to the PWD departments’ chief engineer states that an approach bridge at a cost of Rs 25 lakhs can be constructed. Local residents and farmers opposed the project and submitted petitions to the collector. “As per the government order passed in 2003, any construction on odai poromboke land is not permitted. And the revenue documents clearly state that this land near the 4.39 acre agricultural land is an odai poromboke,” said K P Rayappan, a farmer in the area. TOI has a copy of the order and the revenue document. RTI activist S P Thiyagarajan said that in 2016 the high court had passed an order ordering the collector to stop all construction on waterways. “The court had ordered demolition of existing structures and also stopped construction of new ones. When such orders are in place, it is surprising that the collector allows such a construction,” he said. B Ramalingam, another resident of the area, said that a decade ago the PWD had constructed a bridge on the road near this land. “After that construction, there is extensive flooding in the area. If this bridge is also constructed, the water will enter all agricultural and residential areas. It was because such illegal constructions were allowed in the past in Chennai the city is having floods,” he said. The residents said the stream from the Noyyal flowed from Kanuvai and goes via Kalapatti and ends at Kulathur. “We do not understand why it is so important for the government to construct a bridge for a single agricultural land. Public will not be benefitted from this. They might be converting the agricultural land into a real estate,” said another resident Sabaraimuthu A. Several calls and messages to collector T N Hariharan went unanswered. Public works department officials who had allowed the construction said they had a government order which stated that encroachments are not allowed on odai poromboke land, but bridges can be constructed. They added that as per norms the owners had paid the PWD and it was the PWD that was constructing the approach bridge. “There is a piece of agricultural land and the owners requested us seeking permission to construct an approach bridge. Nearly 100 cusecs of water flows in that area when it rains. We have ensured that 350 cusecs of water flow is allowed even after construction of the bridge. There is no question of flooding in that area. The bridge is 39m wide. The activists and residents can approach the court, but we will not stop the construction,” said a senior PWD official who added that he had inspected the area. On constructing it for a single party, he said there was nothing wrong in it as they wanted an approach to their land. With ecological conservation and going environment-friendly becoming the need of the hour, environmentalists in the city are leaving no stone unturned to spread awareness on the same. Coimbatore-based environmentalist R Mohammad Saleem has now donned a new hat as an actor in a film that revolves around eco-conservation and tribal life. The feature film titled Adavi, is directed by Chennai-based debutant director Velmurugan P and has popular Tamil poet Vikramadithyan playing a crucial role in it. The icing on the cake is that the movie has been winning accolades across the world, including awards at Barcelona Planet Film Festival, Mexico International Film Festival, and Indonesia World Environmental Film Festival. Adavi has been shot in the Western Ghats and predominantly at Adavi Nainar reservoir in Tirunelveli. “The plot primarily touches upon two subjects- tribal welfare and eco-conservation. 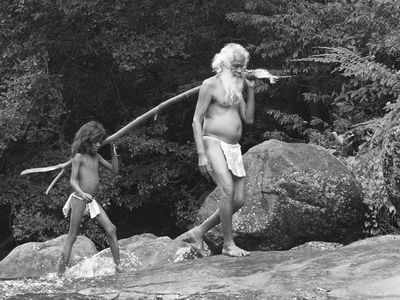 The story revolves around an old tribal man (played by Vikramadithyan) who refuses to leave the forest and a little boy whom he raises. The film tries to break the myth that forest dwellers are responsible for the destruction of the forest. The truth is that they are the ones who are carrying out sustainable living for generations. Their survival is based on the forest. It’s the outsiders who contribute to forest degradation with poaching and littering,” says Saleem. Talking about the plot, he adds, “The story revolves around the old man who dwells in a forest alone. He later finds a small kid in the jungle and raises him as his own. Not only does he teach the language of birds and animals, but also helps him learn every detail of the forest. Some of the scenes were canned as live shots of our trekking and eco-conservation activities. I play a doctor in the film. The plot shows how tribal people understand the forest well and are its true guardians.” Interestingly, the film was shot two years ago and since then has been doing the rounds at international film circuits. Udhagamandalam: The architect of the Government Botanical Garden (GBG) in Ooty, William G McIver, was remembered on his 142nd death anniversary on Friday. Nilgiris collector J Innocent Divya placed a wreath on his tomb, located in the St. Stephen’s Church, in the presence of horticulture department officials. The marble tomb was erected by McIver’s wife Anne on his demise on June 8, 1876, at the age of 51. Director of Nilgiri Documentation Centre Venugopal Dharmalingam had discovered McIver’s tomb in 2009. “Since then, the horticulture department has been paying homage to the great architect of the world famous Ooty garden,” joint director (in-charge) of horticulture department Shiva Subramaniam Samraj said. Early in 1847, Marquis of Tweeddale, the governor of Madras, initiated a move to form a public garden and a horticultural society in Ooty. In 1848, McIver, trained in the Royal Botanical Garden at Kew, was brought to Ooty to transform the wilderness into a beautiful Garden. He adopted Lindley’s system in laying out the garden and completed it in 1867. Coimbatore: Officials of the national highways (NH) department have started cutting down trees as the last phase of the extension work on Siruvani Main Road. The revenue department has given nod to cut down 49 trees along the road. Widening work was taken up on Siruvani Main Road in December 2017. There are 728 trees along the road, of which the NH department had earmarked to chop down 144 as they were obstructive the widening drive. But, after environmental activists objected to the move, the revenue department gave permission to cut down only 83. Following this, activists from Osai, an environmental organisation, conducted an independent survey and said that only 44 trees had been in effect obstructive and needed to be cut down. “Following this, the revenue department gave permission to cut down only 49 trees,” said Syed of Osai. Also, unlike other road extension projects in the city, officials had began the work on Siruvani Main Road without chopping down the trees. Activists turned up at the worksite on Friday and requested the officials to exempt nine more trees as they posed not much obstruction. Revenue department officials said if highways department officials can carry out the work without cutting the trees as the activists have suggested, they can spare those trees. Officials of the national highways department said they had started to cut down the trees on Thursday, as the last phase of the project. “We had completed the widening work on parts where there was no obstruction from trees. Now, we have stated to cut down the trees, which were obstructing the work and would widen the road in those parts,” said an official of the NH department. The extension work had been carried out on a 15km stretch of the Siruvani Main Road from Kalampalyam to Iruttupallam. “The current width of the road is 7m and we are widening it to 10m. Of the road’s total length of 23km, the first 8km is already around 10m wide, so we are working on extending only a 15km stretch,” said the official. The extension work has been taken up at a cost of about Rs 18 crore under the inter-state connectivity scheme. Coimbatore: The long-awaited Coimbatore-KSR Bengaluru Uday express was flagged off by minister of state for railways Rajen Gohain at the Coimbatore Junction on Friday morning. The train would be manned by an all-woman crew of ticket inspectors for few days. The travel time between Coimbatore and IT hub will be less than seven hours. There was a celebratory mood at the Coimbatore Junction as the Uday Express, painted in bright orange and yellow colours, stood at the platform to commence its maiden journey to Bengaluru. The Uday Express is not only the first train to Bengaluru originating from Coimbatore, but also the first double-decker train to run on the Western regions tracks. The all-woman crew comprises three ticket inspectors and one ticket enquirer. This is the first time Im part of an all-woman crew of ticket inspectors, said the chief ticket inspector, V Mythili. Our crew includes a girl named Dhanya, who is on her first ticket inspection trip. While the others have done long distance trains, this is our first train to Bengaluru as inspectors, she said. We are hoping that the journey will be smooth, she added. Though the trains actual schedule is to leave the city at 5.45am, its inaugural journey was scheduled to begin at 10am. However, the departure was delayed for more than an hour and 15 minutes on Friday. The 150 passengers, who had booked tickets on the inaugural train, looked frustrated over the delay in departure of the train. There was a sigh of relief when the train chugged out of the platform at 11.18am. The air-conditioned chair car train, which resembles intercity and country trains in Europe, boasts of an exclusive ambience, three dining areas, a food vending machine, roller blinds and six LCD displays in each coach. The train can accommodate more than 900 passengers in eight coaches. The train, which is a result of many Coimbatoreans demand for a night train to Bangalore, is expected to be a boon for many frequent travellers who keep commuting between the cities. Many people travel to Bengaluru for just half a days work and return on the next day. For these people, this train would be useful, said Union minister Pon Radhakrishnan. Coimbatore: The district rural police have booked five persons, including owners of a private school and building construction contractor, a day after the collapse of a school building under construction in Pollachi. The incident, which happened at Maharishi Higher Secondary School in Zamin Muthur near Pollachi on Friday afternoon, has claimed a life of an 18-year-old man, while 13 other labourers were injured. The preliminary investigation found that the roof of the second floor was weak as the concrete was not cured due to continuous rain. The labourers were stacking bricks on the roof, which gave away as it could not withstand the weight despite being supported by wooden poles. Subsequently, the labourers were caught under the debris on the first floor. The deceased was identified as R Kannan of Odisha. Among the injured, Pinto, 20, and Naren, 24, were injured seriously and were shifted to the Coimbatore Medical College and Hospital while the others were admitted at the Pollachi Government Hospital, said police. The Pollachi taluk police have registered a case against the school owners, Alageswari and Ravichandran, building contractor Sivamani, site engineer Suman Kumar and concrete pouring supervisor Ganeshamurthy for failing to provide safety equipment to the labourers and for lapses in supervising. They were booked under various sections including 304 (A), 287 and 337 of the IPC. 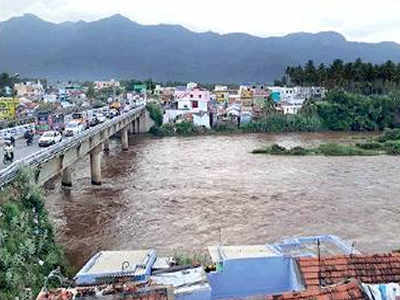 COIMBATORE: The district administration on Sunday issued a flood alert to people living along the banks of Bhavani river in Mettupalayam as the water level of Pillur reservoir reached its maximum capacity. As the water level had crossed 90feet against its full level of 100feet on Sunday morning, the officials of public works department (PWD) held discussion with the district collector who in turn issued flood alert to the people. “We inform the district administration a few hours ahead of the estimated time to reach the maximum capacity to create necessary awareness among the people,” said a PWD official. The collector has advised the people to move to safer locations and not to cross the river. Only a few millimeters of rainfall were recorded in the recent days in the dam region, said the official, attributing the increase in water level to heavy rainfall in catchment areas, including Upper Bhavani and Avalanchi. The water level in Kunda dam in the Nilgiris has reached the maximum capacity and 12,000 cusecs of water was being released to the Pillur reservoir, the official said. As the water level has crossed over 95.5 feet around 12.30pm, 6,000 cusecs of water is being released through two sluice gates from the reservoir, the official added. There is an increase in water flow to the reservoir than the previous years, said the official attributing it to the increase in rainfall this year. Usually, the water would be released during early July. This year, we have started to release water almost a month ahead of the usual time due to the early start of southwest monsoon, the official added. The authorities, on Saturday, had restricted public from entering Kovai Kuttralam falls in Coimbatore and Monkey falls in Pollachi due to heavy water flow. 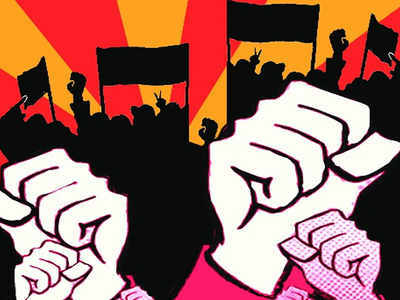 Coimbatore: The residents of Velliyangadu are opposing the establishment of a perfume manufacturing unit just a few kilometres away from the Pillur dam. They have submitted a petition to collector TN Hariharan urging him to take necessary action against the unit, which they claim will cause water pollution. “We were told that a farm unit is coming up at the place. Only recently, after the machineries were installed, we came to know that it is a perfume manufacturing unit,” said S Surendran, a local resident. The unit will be using chemicals like sodium and affluent from there will pollute water bodies, the residents said. “Water from Pillur dam, after purification process, is supplied to over 6,000 households in 570 villages. The perfume unit is just four kilometres away from the dam and over two kilometres away from the water treatment plant,” Mukesh, another resident, told TOI. Officials in the block development office said that permission was given to the unit about two months ago. The construction of the unit is about to complete and it will start functioning soon, the residents said. “The unit is on a 45-acre plot with a borewell. They will start digging more borewells, causing depletion of groundwater,” another resident said.